Q: What does Sirane do? A: Sirane is an NPD product and process development company with full manufacturing capabilities covering the food, medical, horticultural and industrial business sectors. We specialise in turning "drawing-board" ideas into real products that work. In our product design department a team of technicians and scientists are hungry for your ideas. Medical products are sold under our Enaris brand. Q: In absorbent products, what Sizes/Colours are available? A: This depends on the product. If it`s Dri-Fresh then we can offer virtually any size from 30 x 30mm to 600 x 10,000mm, plus shapes and discs and also any colour you wish. Our standard range is white, blue, black, dark and light green, cream, ivory, pink, indigo, orange, burgundy, red and yellow. But as I said before, you choose the colour and we will match it! Lead times for non-standard colour matching are 14-21 days. In the rest of the product range, let us know what it is you need and I`m sure we can help you. Q: What absorbencies do you offer? A: Standard absorbencies range from 600 to 40,000ml/gsm. The intermediary references are 800, 1500, 1700, 2500, 3000, 4000, 5000, 8000, 10,000, 15,000 and 30,000 and higher depending on the product and application you need. One specialist requirement was for 60,000 which we successfully produced. Q: Is everything you make produced in Telford? A: Most of our orders are fulfilled from Telford, UK. We also have manufacturing facilities in Mexico, Russia and Turkey - so if you deal with either Sirane North America, Sirane East (Vostok) or Sirane Turkey your products may be made locally. As we develop into a truly international company, we are committed to offering the same type of lead times for overseas customers as those enjoyed by our core UK base. Q: Are you BRC Accredited? A: Yes we are. This was one of the first things we did when we started up, because we believe that without this you cannot be considered a credible and reliable supplier. All overseas Sirane plants meet the desired standards as required in their respective countries. We are also ISO 9001:2015 accredited as well. A: We are a truly unique company simply because of the team of people that we have here. With our core skills being science, design and engineering, we have been able to develop solutions where there simply wasn't any before. We have a huge toolbox of materials and skills to pull on and therefore are best positioned to provide the correct solution for the job. We look at an idea and if it’s possible we will do it. If the material isn’t available, we will develop it. If there isn’t a machine available to make the product, we will design and build it. We then back this up with scientific testing and documentation and then with a solid customer support system to ensure all our customers get the first class service we expect them to get. Q: Where do you exhibit? A: We exhibit in many of the main trade shows akin to our industry. These have included Aneberries, Boston Seafood, FoodEx, Fruit Logistica, Gulfood, IFE, IFE in South Africa, IFFA, IPPE, Packaging Innovations, PLMA, RosUpack and Seafood Global. A: We intend to build on what we have created so far by continuing to innovate and develop new products for our customers. We are expanding our product portfolio throughout our business sectors. We moved into a purpose built new factory in March 2008 - We have since extended the factory size to a sizeable 70,000 square feet which ensures we can produce virtually any of our products direct from raw stock in a timely fashion. When you get let down by a supplier, then come to us and we will do our utmost to help. In 2013 we opened a manufacturing facility in Antalya, Turkey, as well as warehousing in Cape Town, South Africa, and offices in Dubai. 2013 also saw the addition of a number of distributors/agents around the world. Early 2014 saw Sirane begin to make large inroads into the United States - and the foundation of Sirane North America Inc. We also opened Sirane Asia-Pacific in Singapore, with ambitious plans to supply into the large South East Asia market. January 2016 will see Sirane open a third manufacturing facility, when Sirane Mexico opens in Guadalajara, in the heart of the berry-growing region. Sirane Mexico will mean the growers in what is one of Mexico's biggest industries will have a packaging manufacturer based locally and able to supply direct. 2017 saw production finally begin in Moscow, as Sirane East (Vostok) began manufacturing absorbent products for food, with ambitious plans for the future. 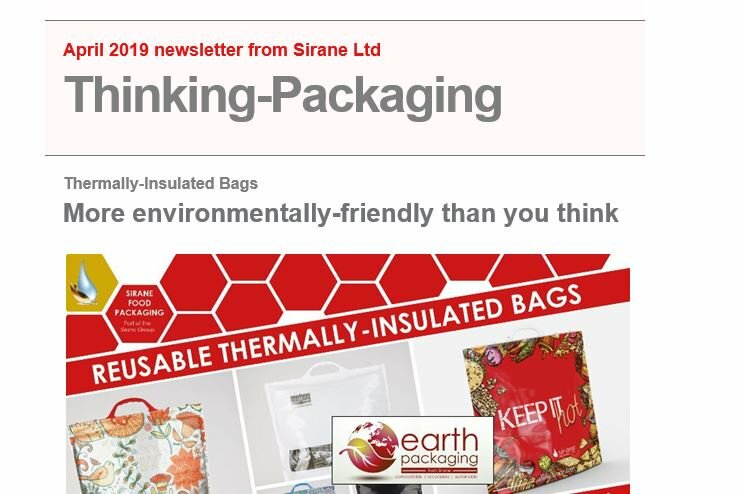 In May 2018 Sirane acquired B&G Products, a flexible packaging manufacturer based in Staffordshire. Q: Can I read your terms and conditions of sale? A: Yes, we make them freely available - click here to read them. Q. Do you have a whistle-blowing procedure? A. Yes, you can download the procedure here.